USS JOHN HANCOCK was the 19th ship in the SPRUANCE class and was named after the first signer of the Declaration of Independence: President of the Continental Congress and Chairman of the Marine Committee - John Hancock. 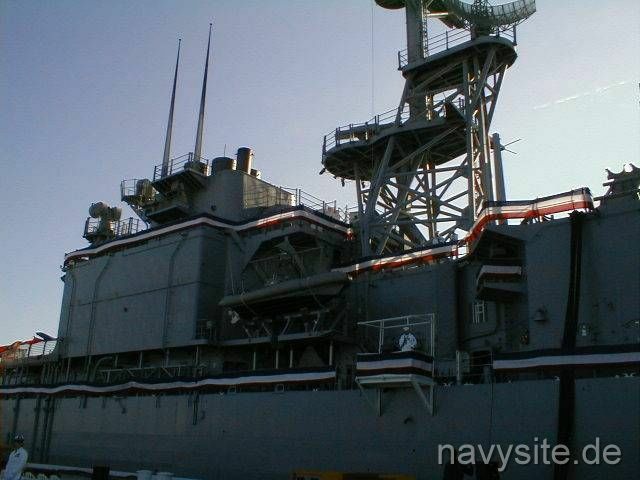 Decommissioned on October 3, 2000, the ship spent the following years laid-up at the Naval Inactive Ship Maintenance Facility (NISMF), Philadelphia, PA. 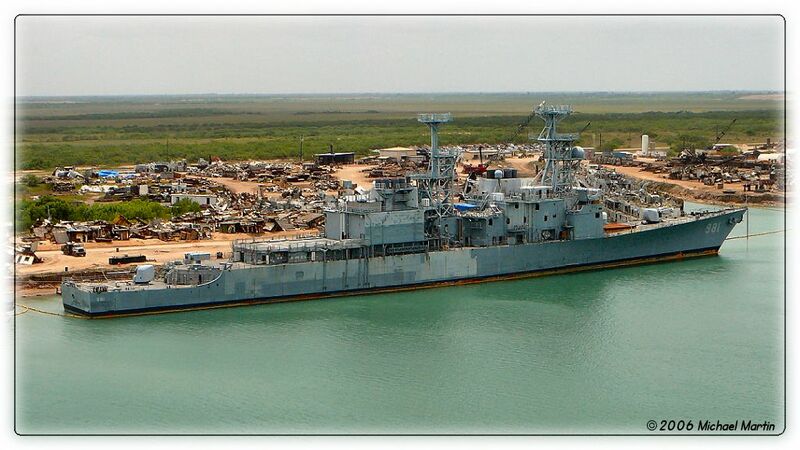 In 2006, she was towed to Brownsville, TX., where she was scrapped. This section contains the names of sailors who served aboard USS JOHN HANCOCK. It is no official listing but contains the names of sailors who submitted their information. 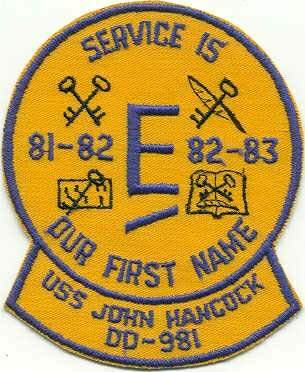 Click here to see which USS JOHN HANCOCK memorabilia are currently for sale on ebay. 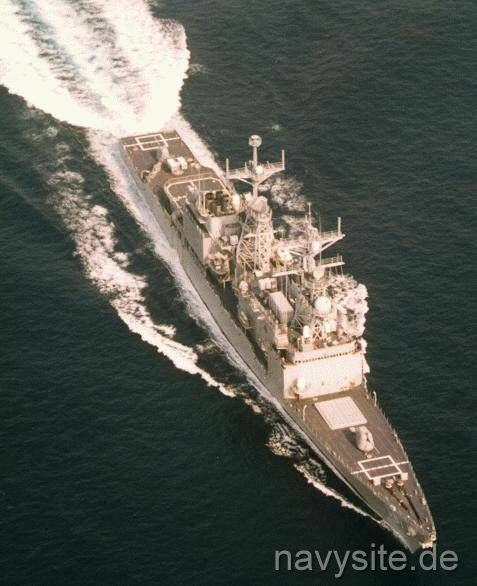 USS JOHN HANCOCK was designed and built by Ingalls Shipbuilding, West Bank, Pascagoula, MS. her keel was laid on January 16, 1976 and she was launched on October 29, 1977. 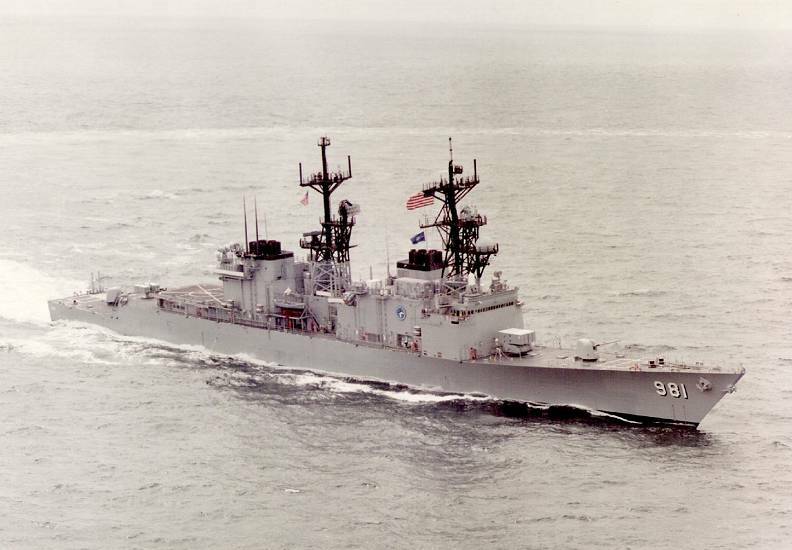 USS JOHN HANCOCK was commissioned in March 1979 as the 19th in a series of 31 SPRUANCE-class destroyers. JOHN HANCOCK was the sixth U.S. Navy ship to be named after the first signer of the Declaration of Independence. In March 1994, while deployed in the Red Sea, USS JOHN HANCOCK, rendered assistance to a wounded Filipino sailor on board a merchant vessel. Shortly thereafter, USS JOHN HANCOCK reached a milestone, while conducting multinational maritime interception operations (MIO) to enforce U.N. sanctions against Iraq. On April 1, 1994, a team of U.S. Navy ships -- USS JOHN HANCOCK, USS CARR (FFG 52), USS UNDERWOOD (FFG 36) and USS TAYLOR (FFG 50) along with an embarked Coast Guard boarding team -- intercepted the 20,000th ship since sanctions were put into place in August 1990. 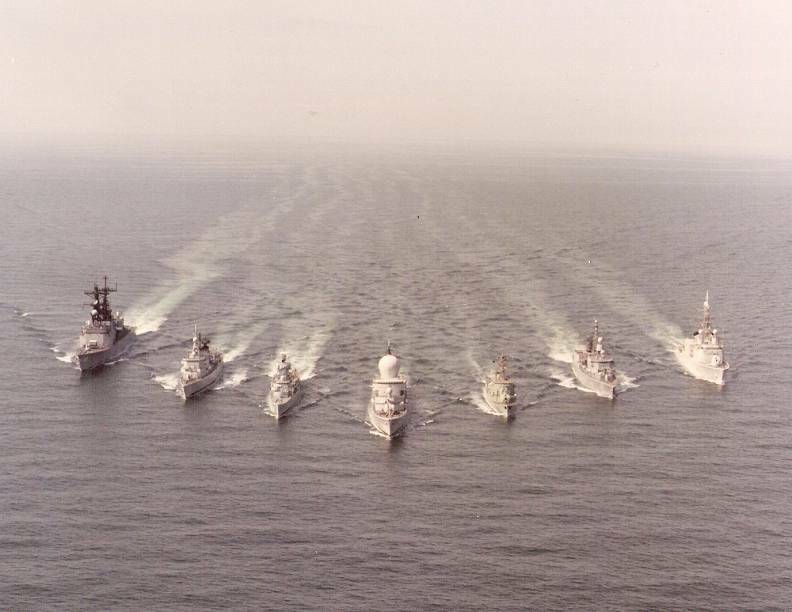 As part of a reorganization announced in July 1995 of the Atlantic Fleet's surface combatant ships into six core battle groups, nine destroyer squadrons and a new Western Hemisphere Group, USS JOHN HANCOCK was reassigned to Destroyer Squadron 24. The reorganization was to be phased in over the summer and take effect on August 31, with homeport shifts occurring through 1998. 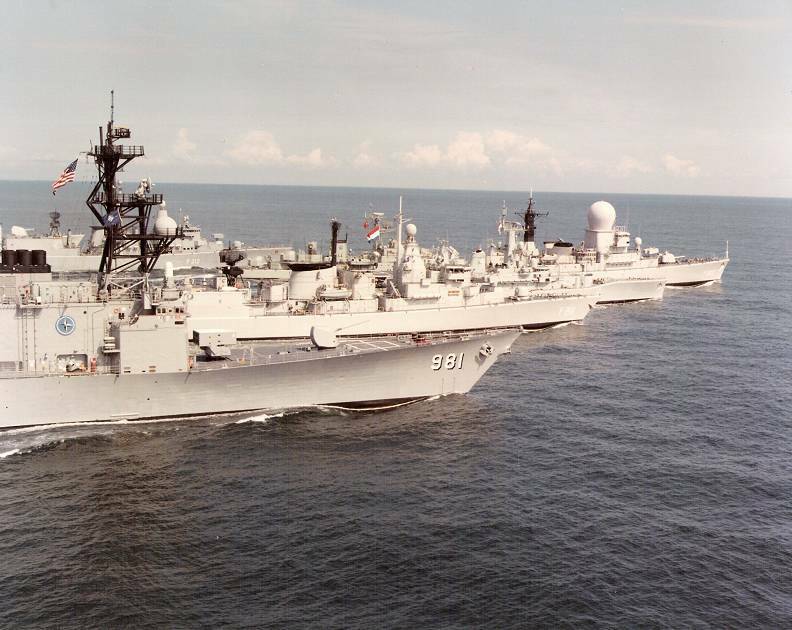 As a precautionary measure against oncoming Hurricane Fran, USS JOHN HANCOCK was one of 13 Navy ships sent to sea in September 1996. The hurricane was heading at the time for the southeast coast of Florida with winds gusting at up to 120 m.p.h. 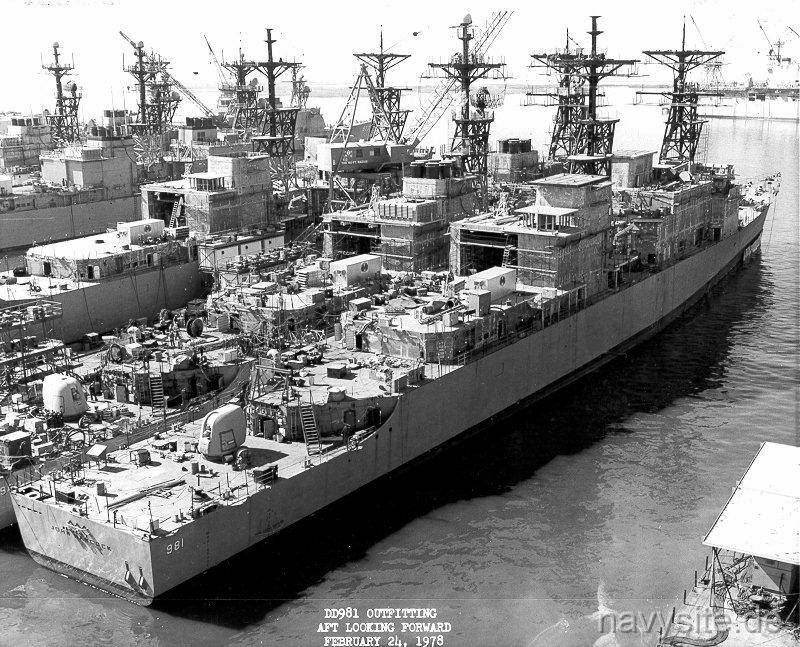 In 1996, USS JOHN HANCOCK, along with the USS WASP, USS CARL VINSON, USS ANCHORAGE, and the USS GEORGE WASHINGTON, were selected to serve as test platforms for the P2 afloat program, after studies at Navy installations indicated that a large quantity of a Naval base's toxic material and hazardous waste originated from ships floating material they had accumulated and stored during deployment. The P2 Afloat Program aims to hazardous material procurement costs for ships, improve safety and health aboard ship, improve quality of life and reduce operation and support costs. 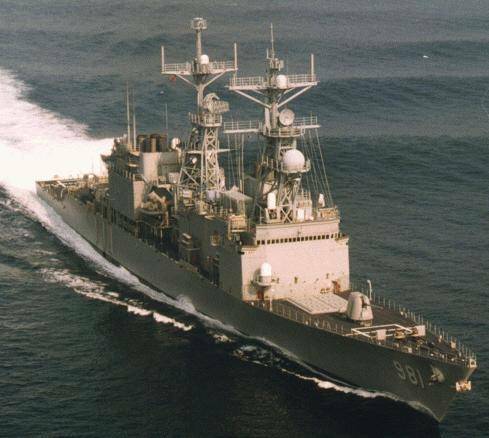 On April 29, 1997, USS JOHN HANCOCK departed for a six-month overseas deployment as part of the USS JOHN F. KENNEDY (CV 67) Battle Group (CVBG). Also departing was the USS KEARSARGE (LHD 3) Amphibious Ready Group (ARG). The CVBG was to relieve the USS THEODORE ROOSEVELT (CVN 71) CVBG, which had been operating in the Mediterranean Sea, Adriatic Sea, Red Sea and Persian Gulf since the previous November. The JOHN F. KENNEDY CVBG and KEARSARGE ARG completed a Joint Task Force Exercise(JTFEX) the month prior, the culmination of about six months of pre-deployment training and work-ups. The joint service exercise included surveillance, rescue, humanitarian assistance, maritime interdiction, embassy support and non-combatant evacuation operations, all of which have been recently performed by Navy and Marine Corps units deployed overseas. 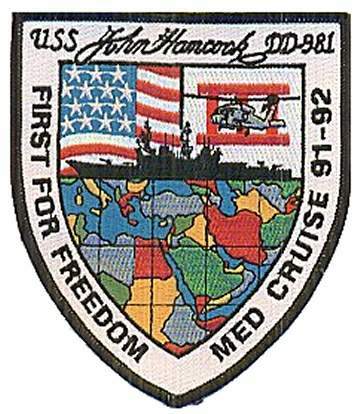 In August 1997, USS JOHN HANCOCK deployed to the coast of Tunisia to participate in Exercise NADOR 97-3. 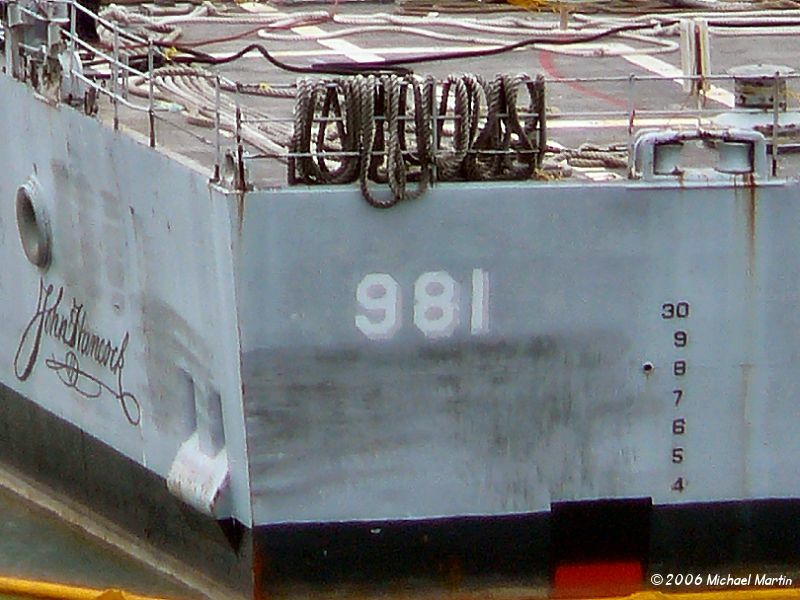 HANCOCK was also there in March for NADOR 97-2. For NADOR 97-3, the JOHN HANCOCK crew operated with two Tunisian combatant patrol boats and increased the level of difficulty. They conducted air and high speed surface gunnery exercises, air tracking and engagement simulations, and free-play "encounter" exercises. JOHN HANCOCK also performed a maritime interdiction demonstration on board the two patrol boats. Simulating merchant vessels, the patrol boats were queried using the bridge-to-bridge radio. After evaluating the suspect merchants' answers, JOHN HANCOCK's boarding team was sent to each vessel using a rigid-hull inflatable boat (RHIB). The boarding team inspected each merchant's manifest and cargo, and directed the suspect vessel to continue on its journey or divert to the nearest port for a full inspection of cargo. With the JOHN F. KENNEDY CVBG, the JOHN HANCOCK, in July, participated in the 6th Fleet exercise Invitex involving 12 nations. During Invitex, allied forces, including 13,000 U.S. Sailors and Marines, were challenged to effectively manage the way they communicate and act upon operational information as it is processed and distributed to allied decision-makers. It also took part in NATO'S Exercise Dynamic Mix, from September 23 though October 7, which placed JOHN F. KENNEDY Battle Group units on opposing sides. That exercise was designed to increase task force and unit readiness as forces implemented NATO strategy and doctrine. USS JOHN HANCOCK returned home on October 28, after six months of operating in the Mediterranean Sea and the Adriatic Sea in Support of Operation Deliberate Guard and the Arabian Gulf Supporting Operation Southern Watch. 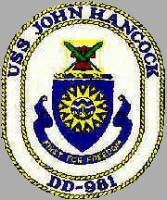 USS JOHN HANCOCK took part in the sixth International Naval Review (INR) in New York City from July 3-9, 2000. 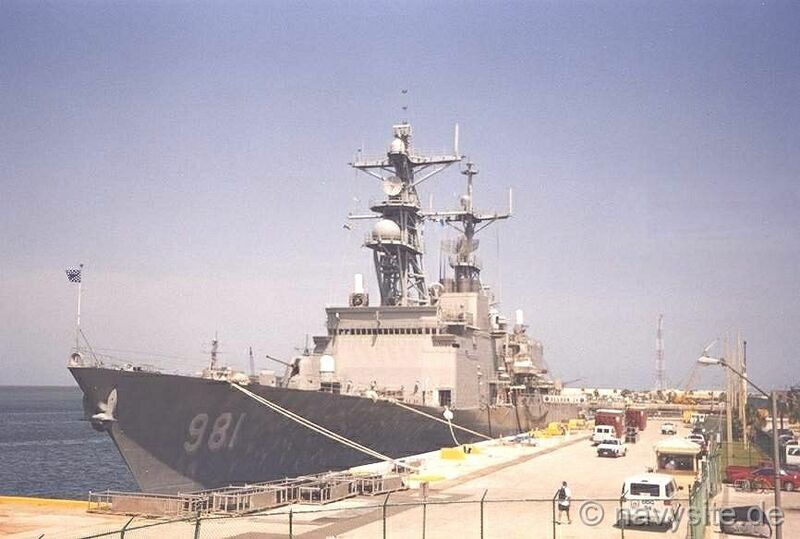 JOHN HANCOCK was decommissioned in Mayport on October 3, 2000. The photos below were taken by Scott Janssen and show the JOHN HANCOCK during her NATO cruise in 1986. 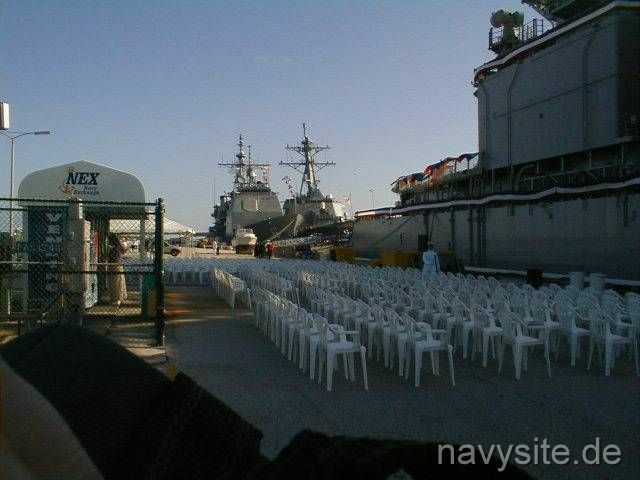 The two photos below were taken by me on July 31, 2000, in Mayport, Fla., two months before the ship was decommissioned. 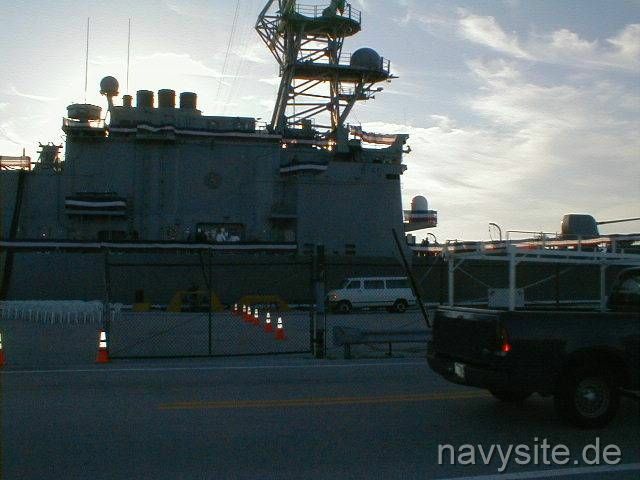 The three photos below were taken by Buzz Allen on October 3, 2000, in Mayport, Fla., shortly before the decommissioning ceremony started. The photos below were taken and contributed by Michael Martin. 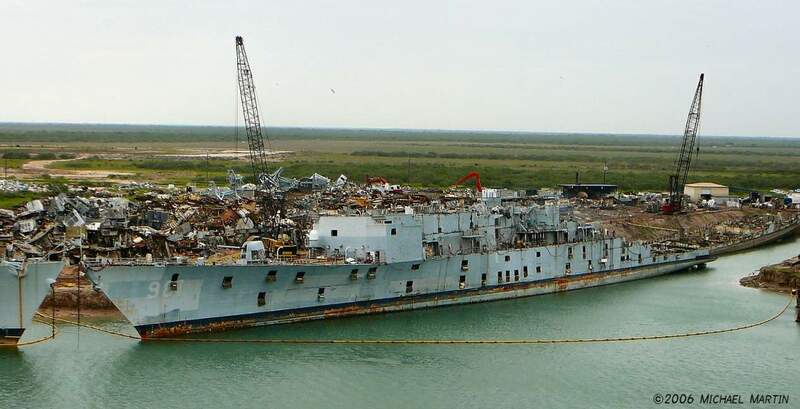 They show the JOHN HANCOCK being scrapped at Brownsville, Tx., in 2006. The first two photos were taken on August 1, 2006, and the last one on October 25, 2006.